Belgium, 2017-Nov-27 — /EPR Retail News/ — In an initiative to provide sustainable solutions and reduce the use of packaging, Carrefour Belgium is inviting Carrefour Hypermarket and Carrefour Market customers to bring their own bulk bags and reusable boxes to package their purchases from traditional food counters (butchery, fishmonger, delicatessen). At the same time, 16 stores will be testing reusable fabric bags for fruit and vegetables. Carrefour Belgium will launch the two initiatives this week in conjunction with European Week for Waste Reduction. The original pilot project was launched at the Carrefour Hypermarket in Bierges (near Wavre) in early November. Now – scarcely two weeks later and following a surge of positive customer reaction – the test project has been rolled out to every food counter in the Carrefour Hypermarkets and Carrefour Markets operated by Carrefour Belgium. The principle is simple and sustainable: customers bring their bulk bags or reusable boxes with them and use them to pack the products they buy from traditional food counters.  The person serving them alters the scales so as to exclude the weight of the container and affixes a price label in the same way as they would to classic plastic packaging. It is obviously vital that customers provide only clean, dry boxes suitable for foodstuffs. If food safety cannot be guaranteed, a store employee may refuse to use the container in question. To prevent cross-contamination, different types of meat, cheese and/or processed meat will always be packed in different boxes. Monday 20 November sees the start of another test at the Carrefour hypermarket in Bierges, this time involving the use of sturdy reusable fabric bags for fruit and vegetables. The bags are washable, sufficiently robust to be reused a number of times and accept price labels easily. They will be sold at €2.40 for five, i.e. €0.60 per bag. A week later, the bags will be available in a further 15 test stores. The two initiatives will begin this week, to coincide with European Week for Waste Reduction. As you will remember, Carrefour launched reusable bags at its store checkouts in 2004, and these new test projects see Carrefour Belgium going above and beyond current statutory requirements. Carrefour also reviews the packaging of 800 to 1,000 products every year, assessing it particularly with regard to sustainability. These initiatives clearly show that the Belgian retailer intends to play a pioneering role in reducing packaging by providing its customers with sustainable, practical solutions. 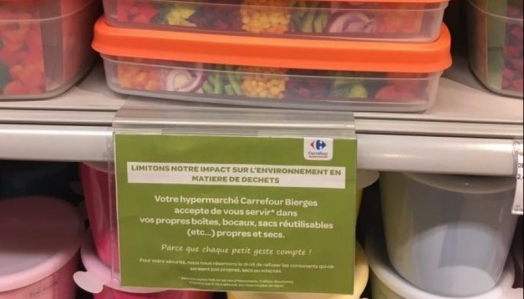 This entry was posted in Business, Consumer Information, Environment, Food & Beverage, Grocery, Management, Retail, Retailer and tagged bring their own bags, Carrefour Belgium i, reusable boxes, Shopping, traditional food counters. Bookmark the permalink.